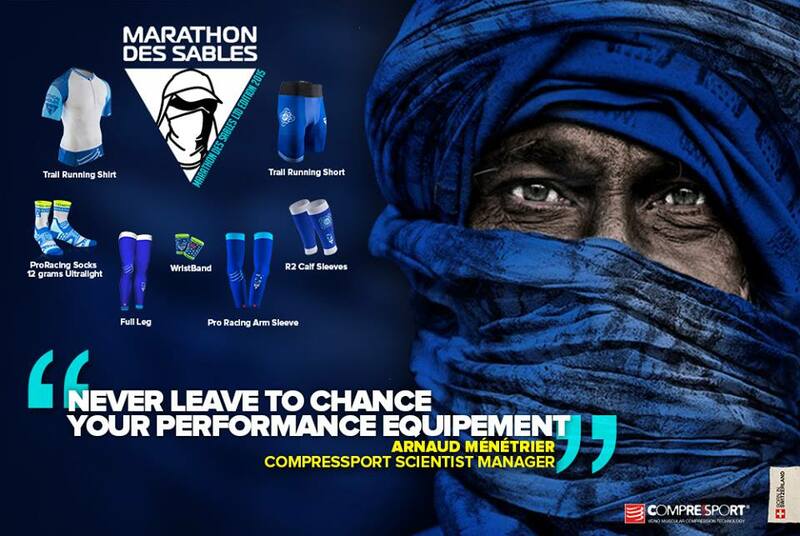 With the imminent start of the 2015 and 30th edition of the Marathon des Sables (preview HERE), leading sport compression brand COMPRESSPORT are providing you all with the opportunity to win one full set of TRAIL clothing. 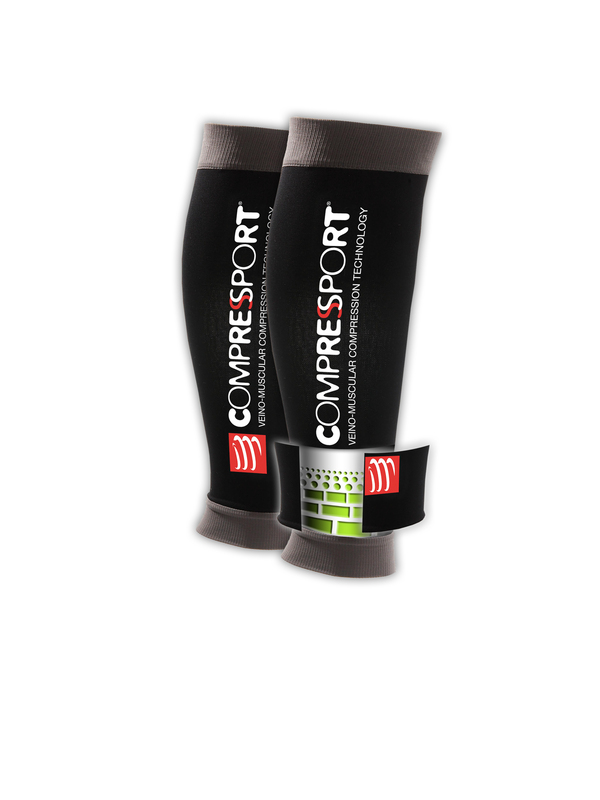 Male or female apparel is available, all products will be shipped directly from Compressport. You need to answer the question below using the contact form on this website. Deadline – April 10th for last entries. If you would like to win a full set of apparel as listed above. Please answer the following question using the contact form below. 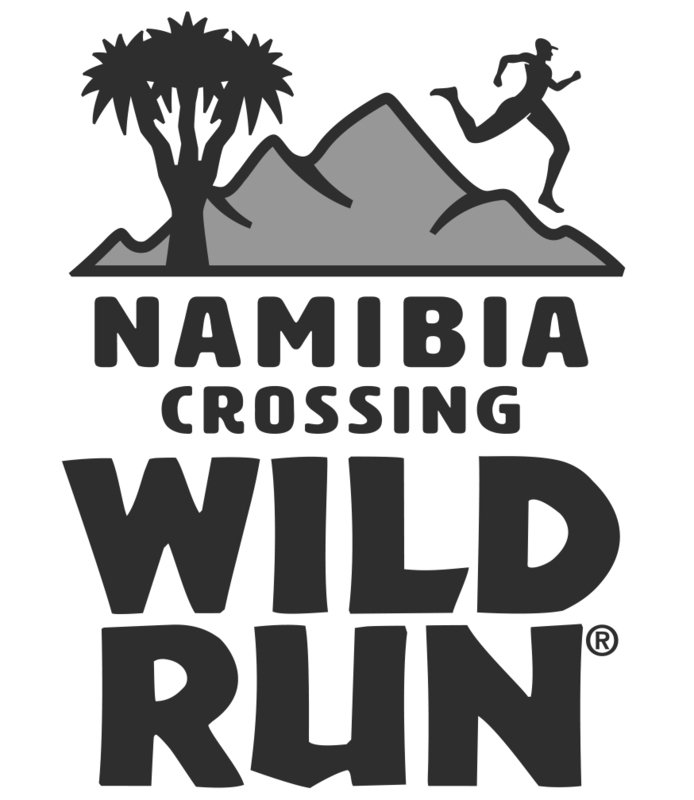 Entries will close on April 10th and no entries will be accepted after this date. 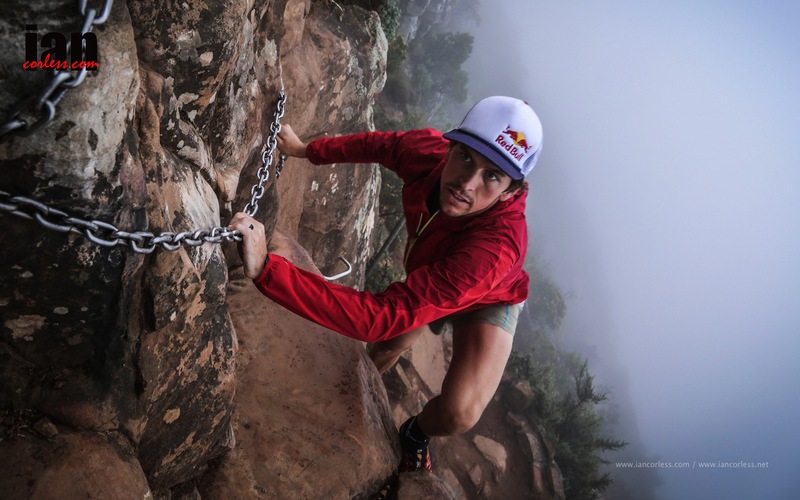 Cape Town (South Africa) – Almost a year to the day after he and Ryno Griesel set the record for the Drakensburg Grand Traverse (in a lightning-fast time of 41h 49m), Ryan Sandes decided it was time for a new challenge. 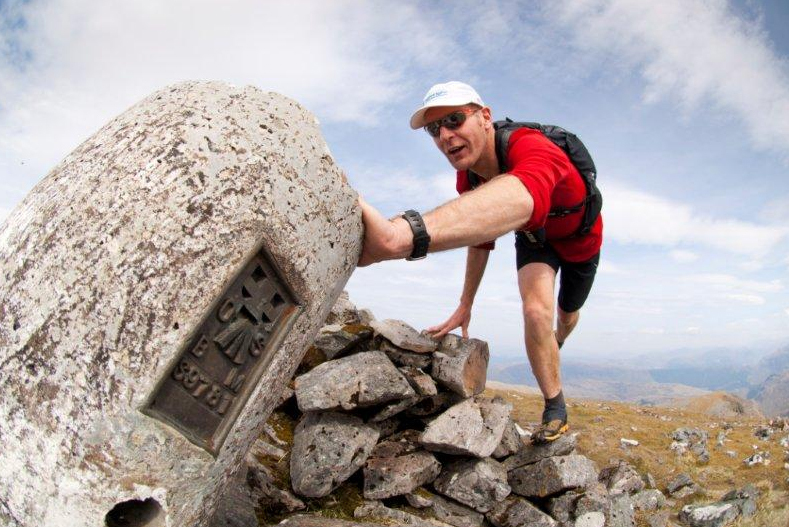 In 02h02m13s, Sandes set the ‘Fastest Known Time’ for 15.1km route (with 1070m ascent and 949m decent) across Cape Town’s famed Table Mountain. Mention the name ‘Ryan Sandes’ and it immediately conjures thoughts of the ultimate trail runner adventuring through breath-taking landscapes. 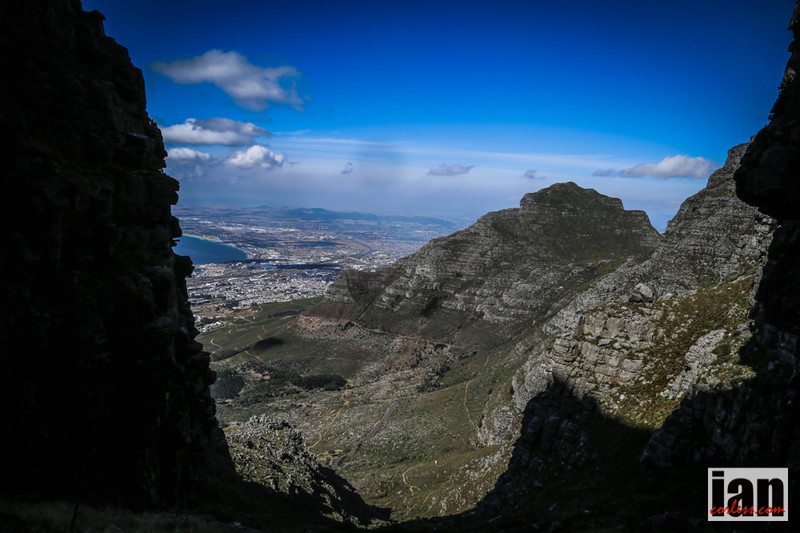 Not one to lie back and take it easy, Sandes’ decided to be the first to set the Table Mountain record. 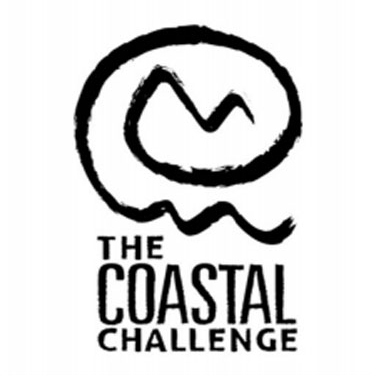 Having started out at 6:30 am at Suikerbossie Restaurant, Ryan ventured his way across the sandstone and fynbos checking through 3 designated points before finishing at SAN Parks Information Centre on Lower Tafelberg Road. FKT chasing has become somewhat of a phenomenon in the ultra-running world over the last few years. 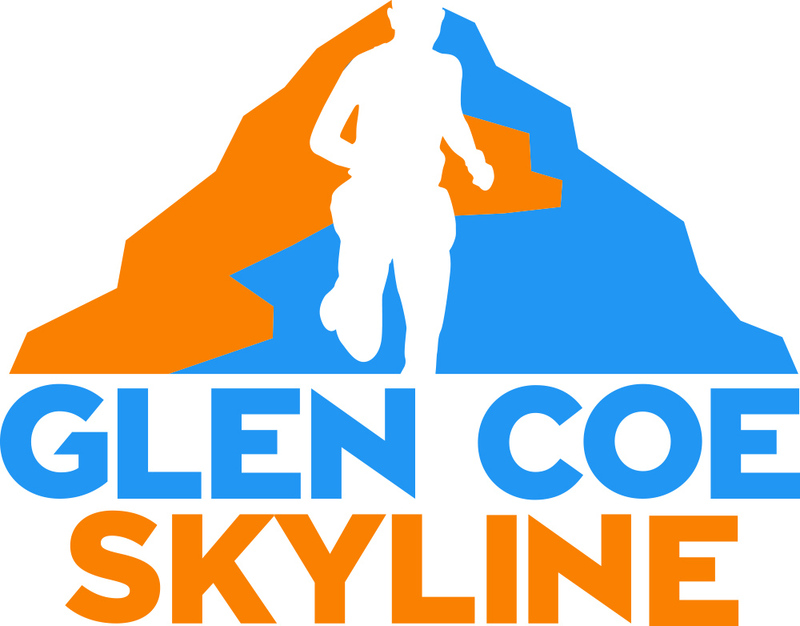 Essentially, an FKT is a course record for a given distance on a trail, usually set on trails where a race with many participants would be detrimental to the area. Would-be contenders should head to http://www.redbull.co.za/FKT where they’ll be able to pit themselves up against Sandes’ time using any GPS device or the Strava App. A simple registration process and uploading the GPS data from their run is all that stands in the way of getting their name on the Table Mountain FKT leader board. 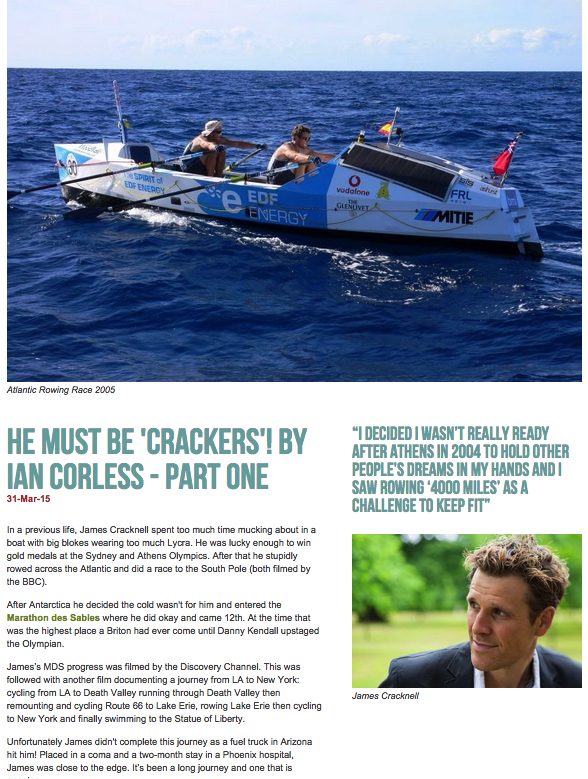 Just by running the route and uploading their result they stand a chance of joining Sandes’ support team as he travels to compete in the Grande Raid Réunion in October. 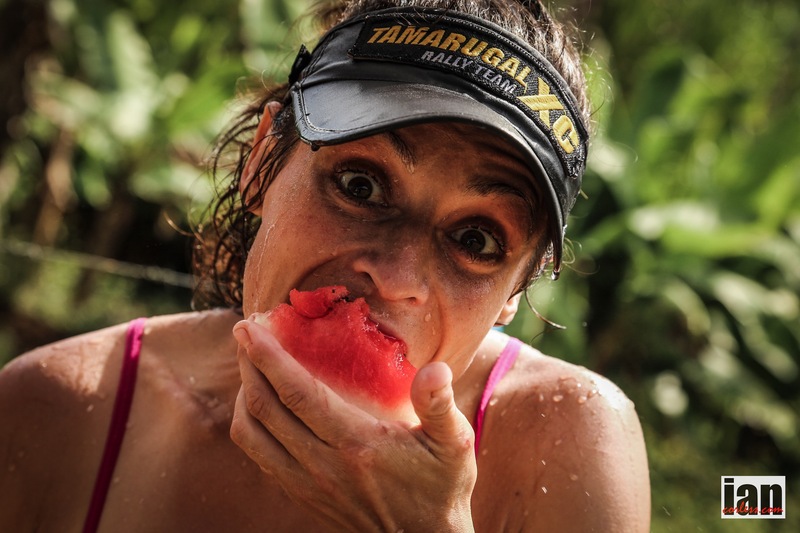 The race, set on the picturesque volcanic isle, is arguably the world’s toughest 100 miler, with over 10 000m of climbing. “Get out there, hit the mountain and push past what you think is possible! It’s more about challenging yourself and taking in the beauty that the mountain has to offer. 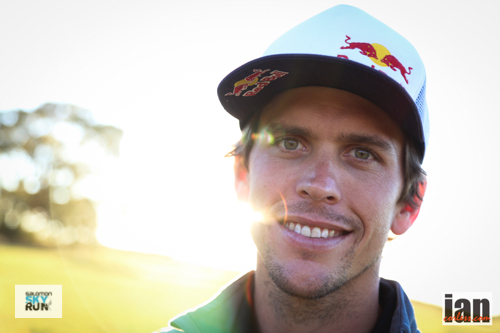 I’ve had the opportunity to run all over the world and what we have in Cape Town is pretty special,” says Sandes. 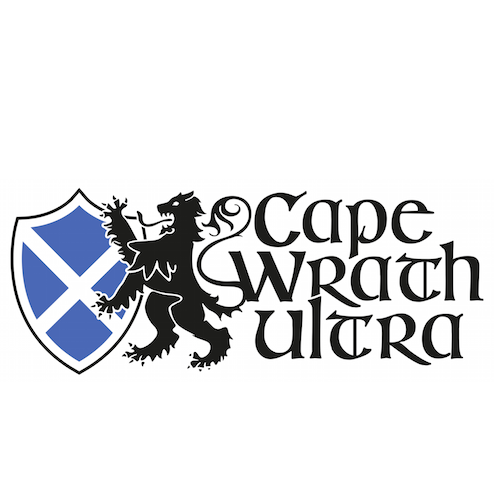 On Friday Ryan Sandes will be running a Fastest Known Time (FKT) for a 16km route across Table Mountain in Cape Town, which is amongst the new 7 wonders of nature and is a World Heritage Site. 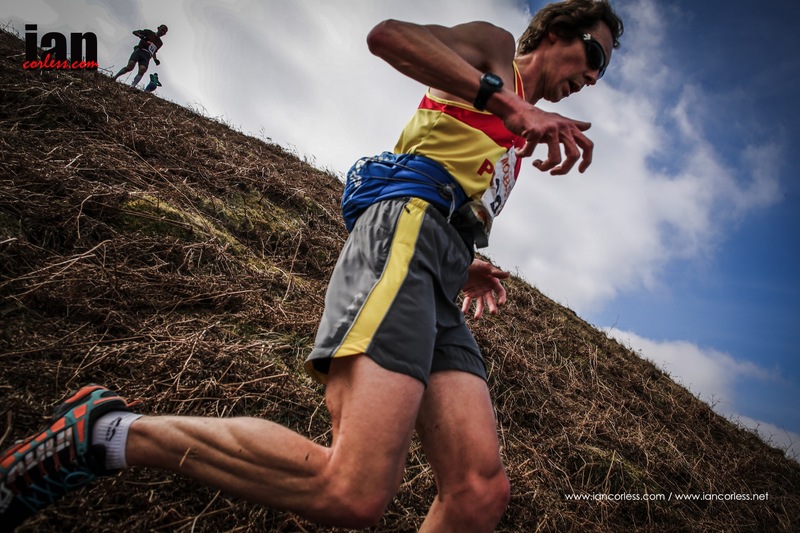 There is over 1400m of climbing, and super technical running along the 16km course. 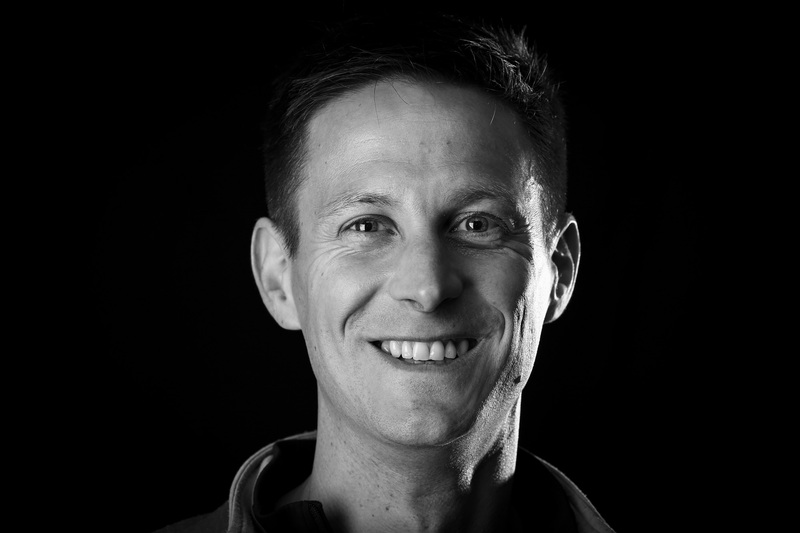 He has partnered with Red Bull for this project and they will be setting up a website where local runners can run the route and record their times and the runner with the fastest time will be able to join Ryan, as a spectator, when he travels to the Island of Reunion to run Raid of Reunion later this year. The route is from Suikerbossie Restaurant to the SANParks information centre on lower Tafelberg Road. It takes in Llandudno Ravine and the Kasteelpoort beacon, from where it routes through the Valley of the Red Gods and toward Platteklip Gorge. Then via the Upper Table Mountain Contour path it winds to the Kloof Nek corner beacon and on to the finish. Start at the main entrance gate to Suikerbossie Restaurant and run towards Llandudno Ravine (Hout Bay Trail Challenge leg 2 route). Head up Llandudno Ravine where the first Check Point will be a quarter of the way up the climb. Once on top of the mountain, follow the trail towards Kasteelpoort and do not take any of the turn off’s, including the turn off to the WoodHead Reservoir. Once you reach the beacon at the top of Kasteelpoort, continue straight through the Valley of the Red Gods and towards Platteklip Gorge. Do not take the turn down to Kasteelpoort. You will pop out at the top of Platteklip Gorge where Check Point two is. Head down Platteklip Gorge but DO NOT run all the way down to Tafelberg Road. You must take the Upper Table Mountain Contour path towards Kloof Nek corner (you will run under the Cable Car) and turn down right on the trail once you get to the Kloof Nek corner beacon. The third and final Check Point is on the Kloof Nek corner trail heading down towards Tafelberg Road. Follow this trail down to Tafelberg Road. Once you hit the road, turn left follow the road down to the SANParks information centre in the parking-lot where the Table Mountain Trail Challenge starts. Touch the far lefthand side (if you are facing towards the city centre) of the information hut and you have finished. The run starts with a massive climb up Llandudno Ravine to warm your lungs and legs up. This is a super technical climb to the top of Table Mountain with lots of rock stairs and scrambling. Once on top of Table Mountain the route is a little flatter but don’t be fooled it is not completely flat. It is very technical running along a single track which can be quite overgrown and seeing large snakes is a common occurrence. The views on top of Table Mountain are amazing and makes every drop of sweat getting up to the top of the mountain worth while. Once you get to the Valley of the Red Gods you have a few small ladders to negotiate before descending Platteklip Gorge. This is the hardest part of the run for me, as you have big rock stairs leading down Platteklip which kill your legs and you also have to constantly dodge tourists hiking up the mountain. 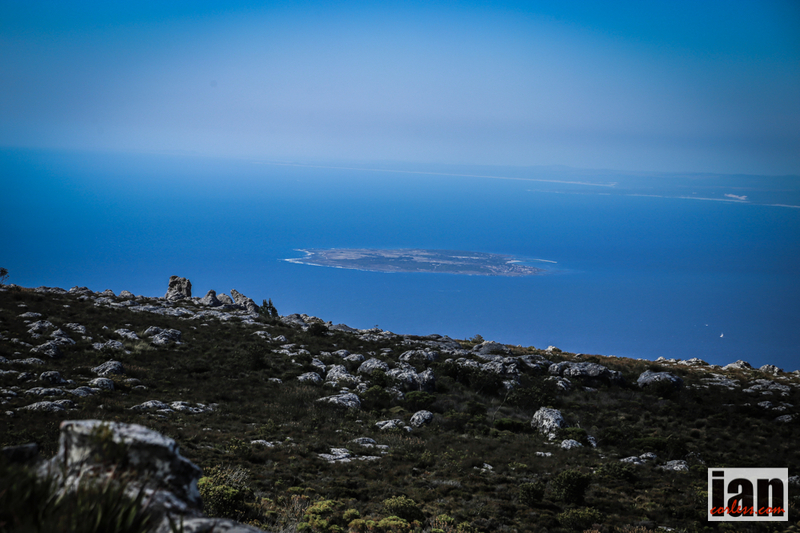 Once on the contour path, the running is fairly fast to the finish but your legs will be feeling tired after the big descent off Table Mountain. The route is around 16km, but is very slow moving and you can never get into any rhythm. I love the run as it is in my “back garden” and I feel right at home. Okay, calm down. Yes I know it’s the Salomon S-Lab Sense 4. Yes, I know it’s the shoe that Kilian uses… yes, yes, it’s arguably one of the most desired shoes out in the market place. But is it any good and is it the shoe for you…? Well, first and foremost. Is it the shoe for you? Shock horror. Easy, easy, don’t go and throw your computer on the floor or punch the screen. More importantly don’t hate me. In all honesty, this may well not be the shoe for you! To clarify, I am not saying the S-Lab Sense 4 Ultra is not a good shoe. 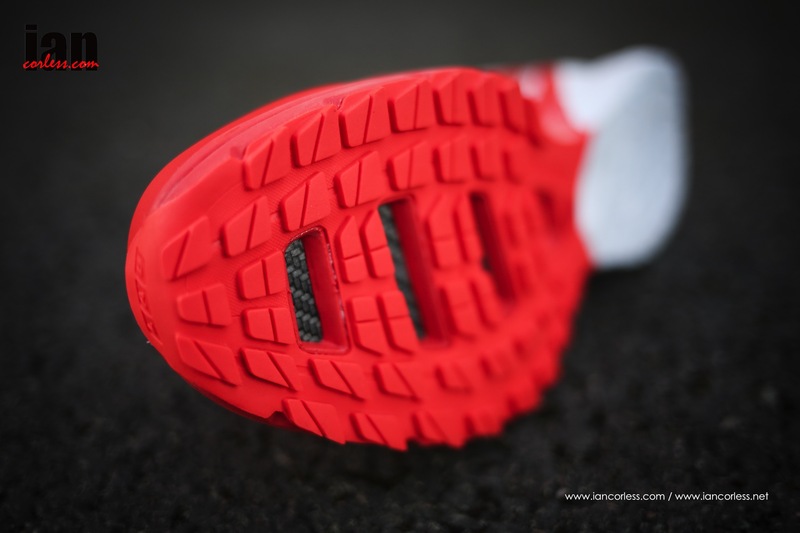 Quite the opposite, it’s a great shoe with loads of great features and it’s a shoe that will delight and provide many a happy mile for the appropriate runner. 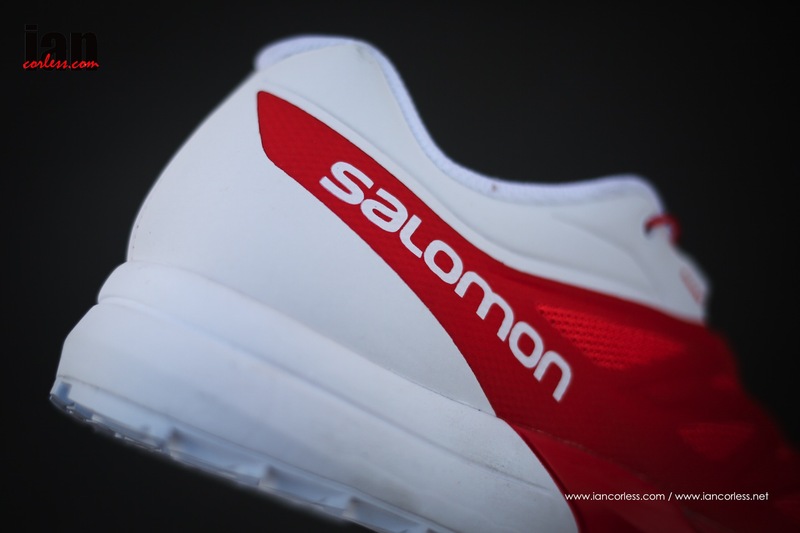 Well quite simply, S-Lab is the pinnacle of the Salomon line up. It’s the bees knees, the dogs bolx, the big kahuna, the… you get the drift! Yes I know Kilian uses them! But I am not Kilian and to be quite honest, neither are you. I don’t disagree. All the above boxes are ticked. Without doubt, if you are a Sense 3 user, lover and aficionado, you are going to love the Sense 4 Ultra. The shoe does feel different and from experience they feel great out of the box but even better after 3-4 hours of running in them. they just soften up a little. 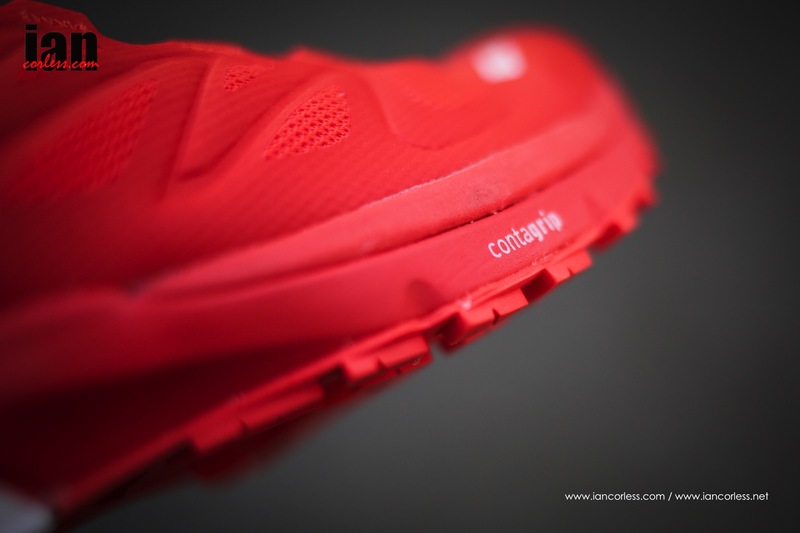 A 4mm drop shoe, cushioning is 9mm at the front and 13mm at the rear, for comparison, the Sense Mantra 3 has 9mm front and 15mm rear. 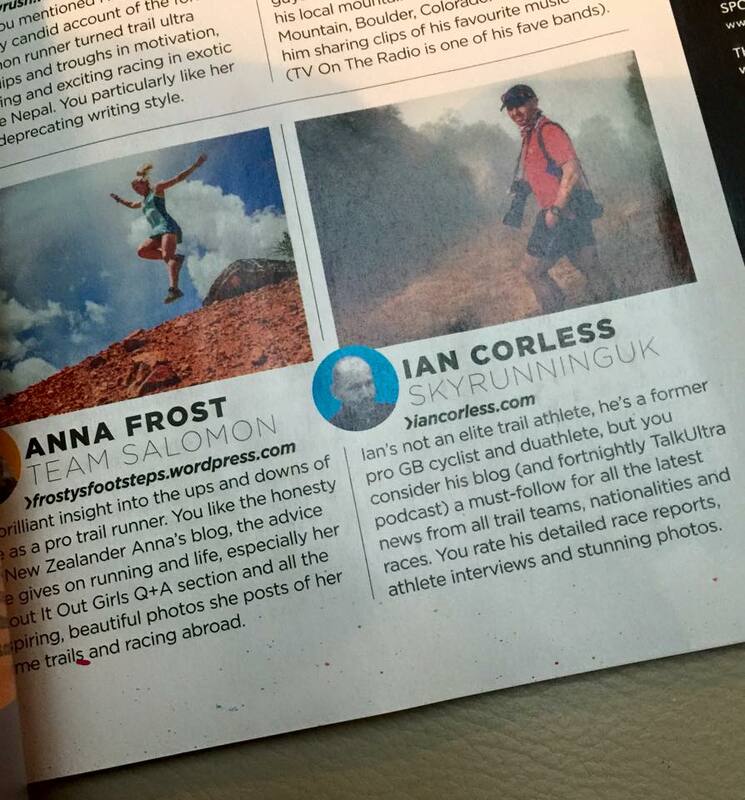 You may be asking, why has Ian mentioned the Sense Mantra 3? 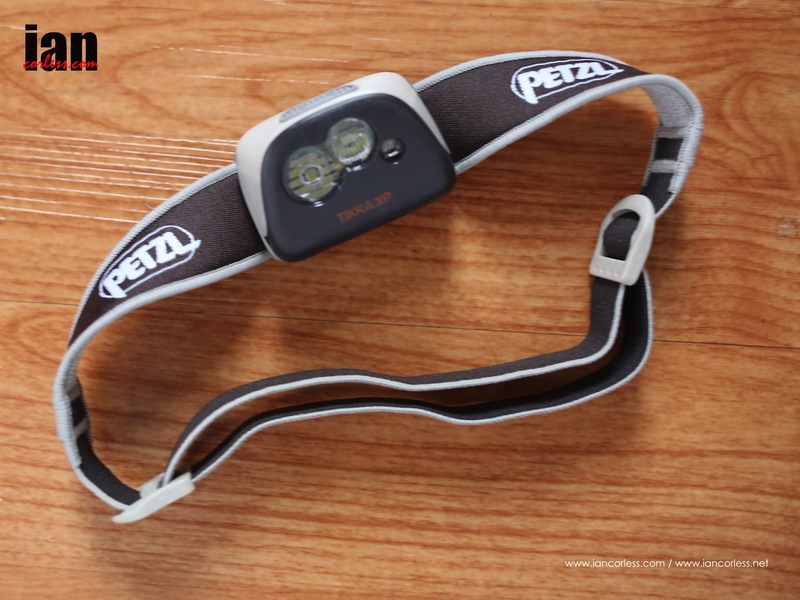 Well actually, I personally feel that for many runners out there, the Sense Mantra 3 may very well be a better choice… controversial I know but I will go on to explain. The shoe upper has been revised and is one seamless piece uber technology. Overall fit is better (that is hard to believe as the Sense 3 was awesome) and the toe box is a little wider. To be honest, I did notice a little extra width but it’s marginal. If you thought the Sense 3 had a tight toe box, you won’t try the sense 4 and think wow, that is so much wider. If you want that, you need to look at the Sense Mantra 3. But toe protection has been improved and you have a great bumper to protect from rocks. Sensfit mapping on the upper has been tweaked and I find it hard to believe but it does hold the foot even better than the previous model. I go on about Sensfit, Endofit and the Quicklace system all the time but for me, it’s the shoe fitting system that I compare all other shoes too. Yes, it’s that good! The fit of the tongue has also been improved. Again, the Sense 3 was awesome so any improvement here is a bonus and after several runs I can confirm less debri/dust enters the shoe as the fit is ‘snugger’ than previous models. 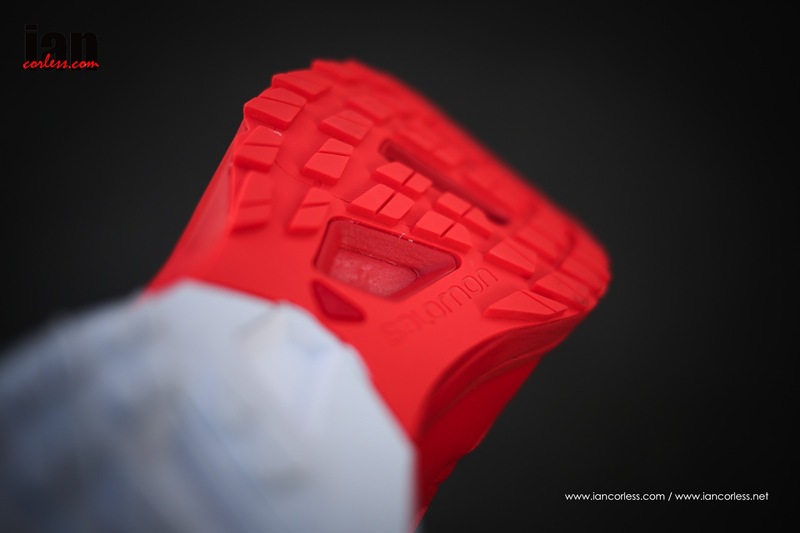 The Contragrip sole has had a significant change with extra depth added to the lugs. Don’t get me wrong, this is not an aggressive sole. I merely compare to the Sense 3. 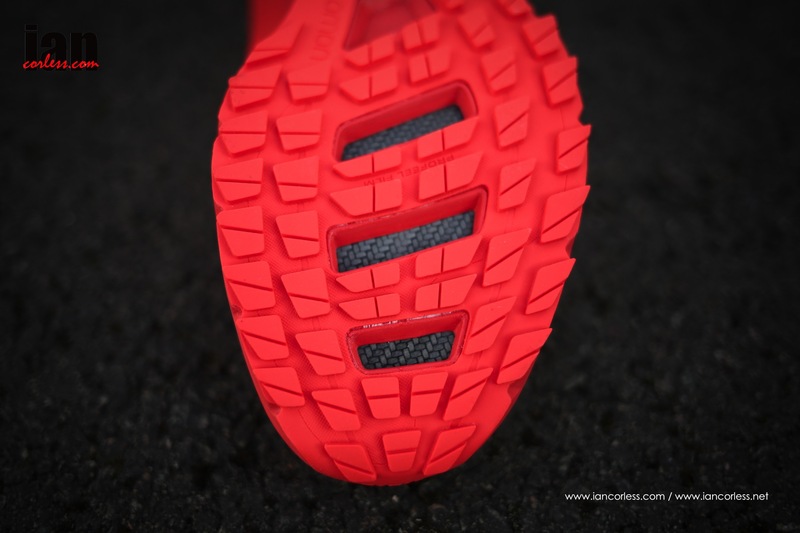 I would say that the most noticeable change is the outsole compound; It most definitely has greater grip on rock, road and gravel. Salomon say durability has also been improved? I can’t comment on that at the moment as it is too early in testing. 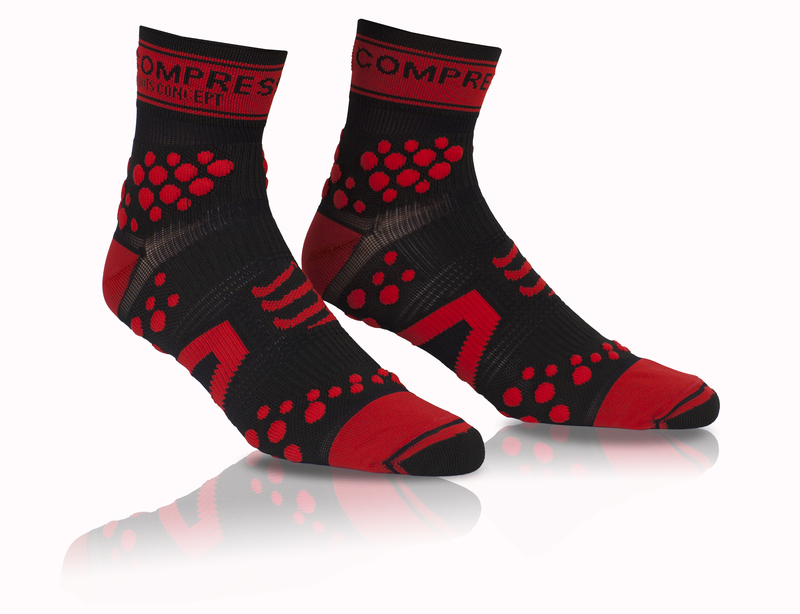 The S-Lab Sense was always designed to be worn with or without socks. Same applies here. Snug, snug fit and no seams to cause any issues. Endofit, Sensfit and all the usual Salomon S-Lab wonders are present and the shoe fits like a dream. The heel area is plush, snug, has no hot spots and holds the foot firm. Uphill or downhill you have 100% reassurance. 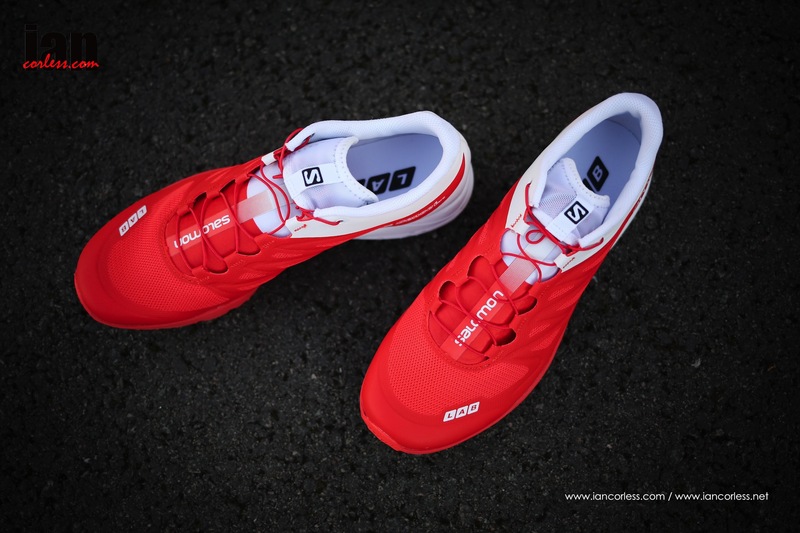 The S-Lab range of shoes excel with a precision fit. By precision, I mean snug and for some that may well be perceived as tight. But that is the point… the shoe is designed to hold the foot secure and allow little to no movement. 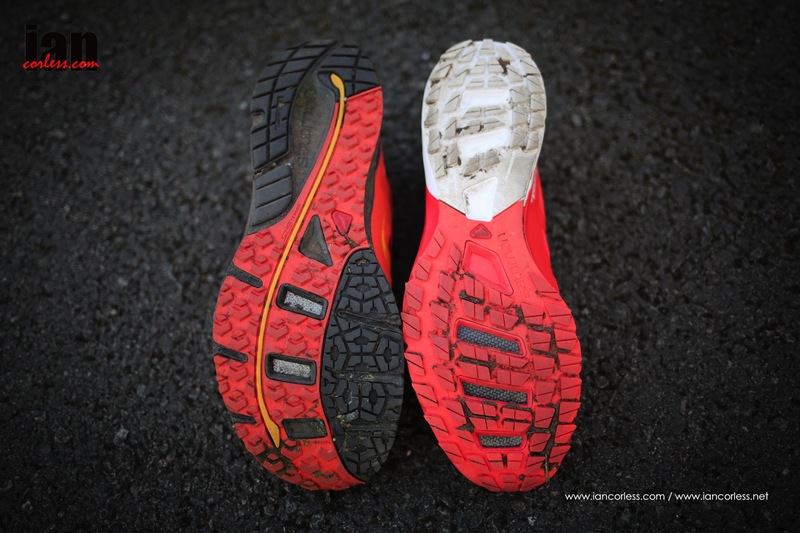 When running on tough and technical terrain, you don’t want a sloppy shoe. This is why I said in my introduction that this may not be the shoe for you! If you are not a fore to mid-foot runner this is not the shoe for you. A drop of 4mm keeps you on your toes and you need to be efficient to make the most of the Sense 4 Ultra. Cushioning at 9mm is very good and ironically is comparable with the Sense Mantra 3. I did it again, I mentioned the Mantra 3! 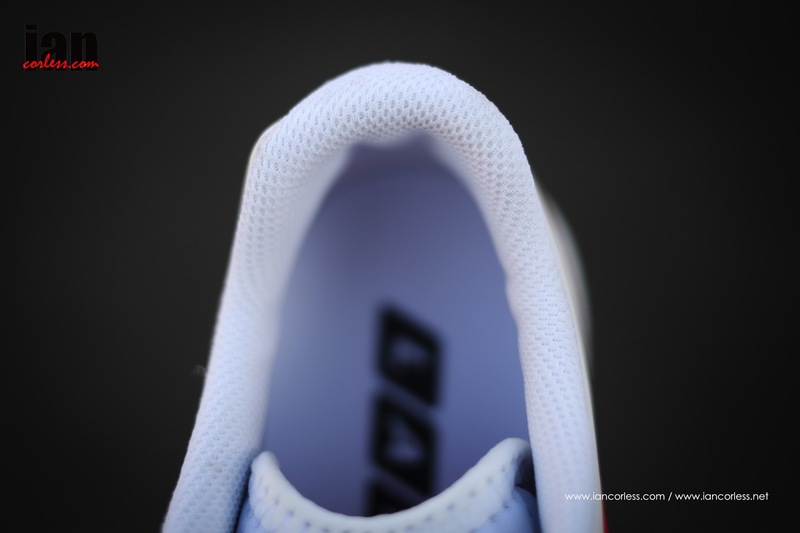 Looking at the outsole you will see grip on the forefoot and the heal but no grip in the middle of the shoe. To explain things a little more clearly, look at the image below comparing the Sense 4 Ultra to the Sense Mantra 3. It’s really noticeable. 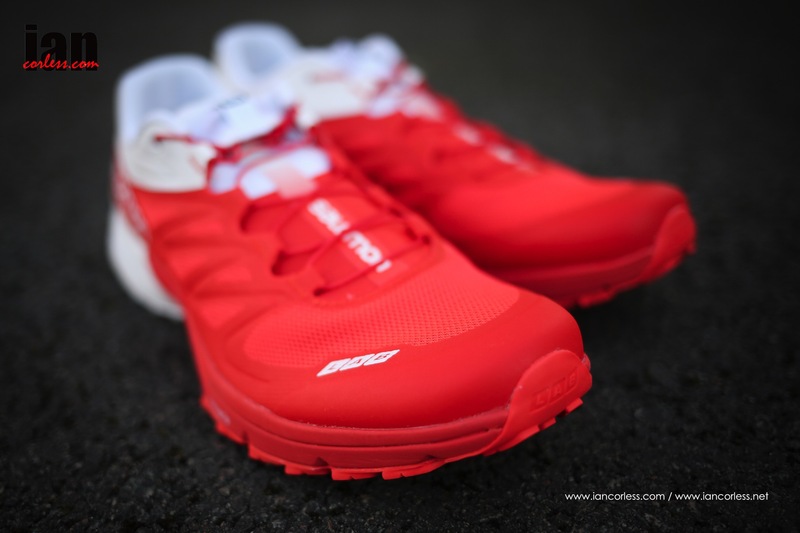 The Sense 4 Ultra is more streamlined, narrower in the toe box, most definitely narrower in the middle of the shoe and a touch narrower at the back of the shoe. To clarify, the Sense 4 has a racing last. You may now begin to understand my constant mention of the Sense Mantra 3 and why for many, it may well be a better choice. Running in the Sense 4 as you would expect is wonderful and secure. The shoe is precise, has great flexibility, improved grip and overall improved feel over the Sense 3. It’s a winner! 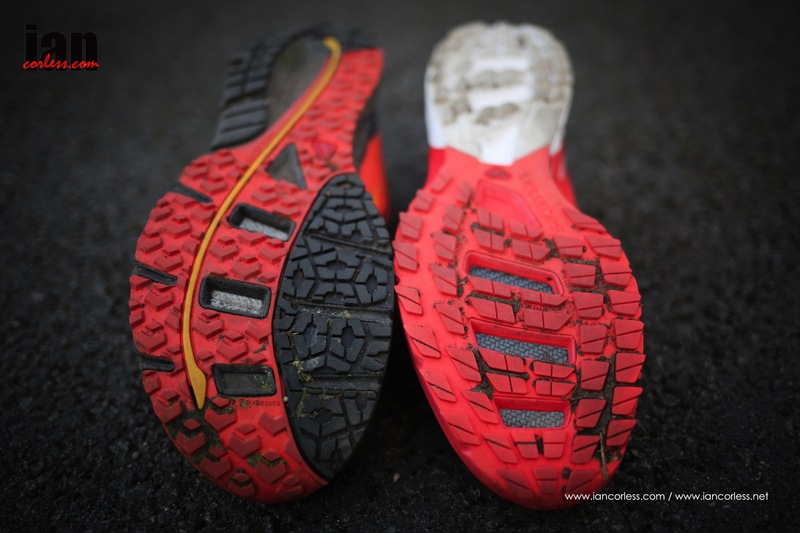 On technical terrain you have a constant feel for the ground and due to the tight fit, the shoe goes exactly where you want it to go and importantly your foot does not move inside the shoe. The Quicklace and Lace Pocket are still my favourite lacing option of any shoe. As in the Mantra 3, the OS Tendon really works in providing spring and the Profeet Film protects from sharp objects on the trail. 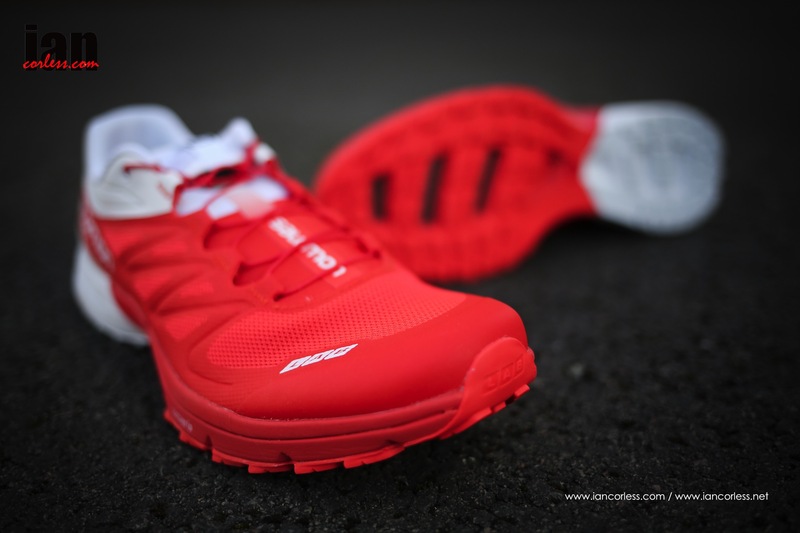 Although the shoe is called ‘Ultra,’ I see this model as being a great mountain race shoe for dry and rocky terrain. Could you run an ultra in them? Well, that depends on the runner, the distance of the race and how long you would be running. For me, I personally don’t feel I could run for longer than four (ish) hours in this model. As I say, this is very personal. 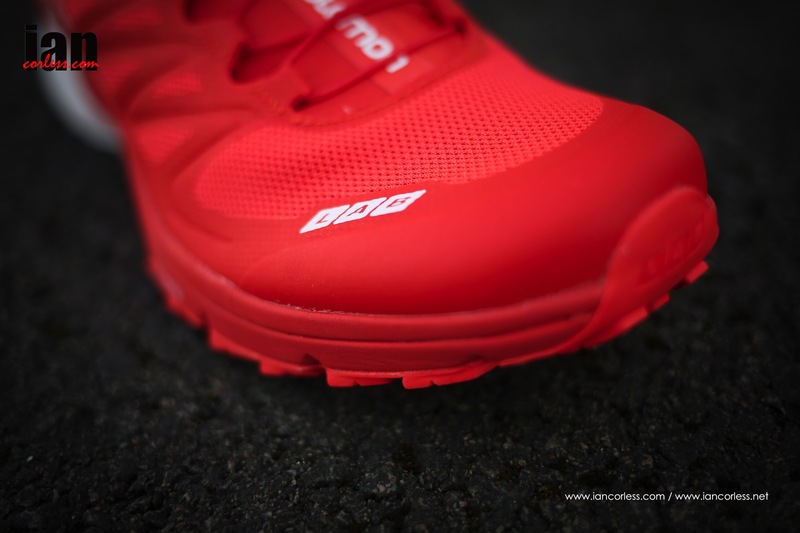 Awesome shoe for the efficient ultra trail and mountain runner who needs a shoe that offers precise control, awesome fit and grip for dry (non muddy) technical terrain. Okay, that is my alarm bell ringing – read on! I have used the Sense 3 in both versions for months and loved them. 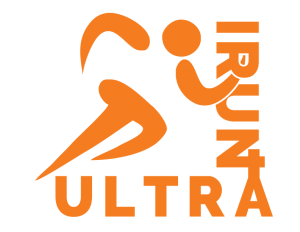 I love the Sense 4 Ultra but having used the new Sense Mantra 3, I can honestly say that the Mantra 3 may well be my preferred choice for certain types of running. 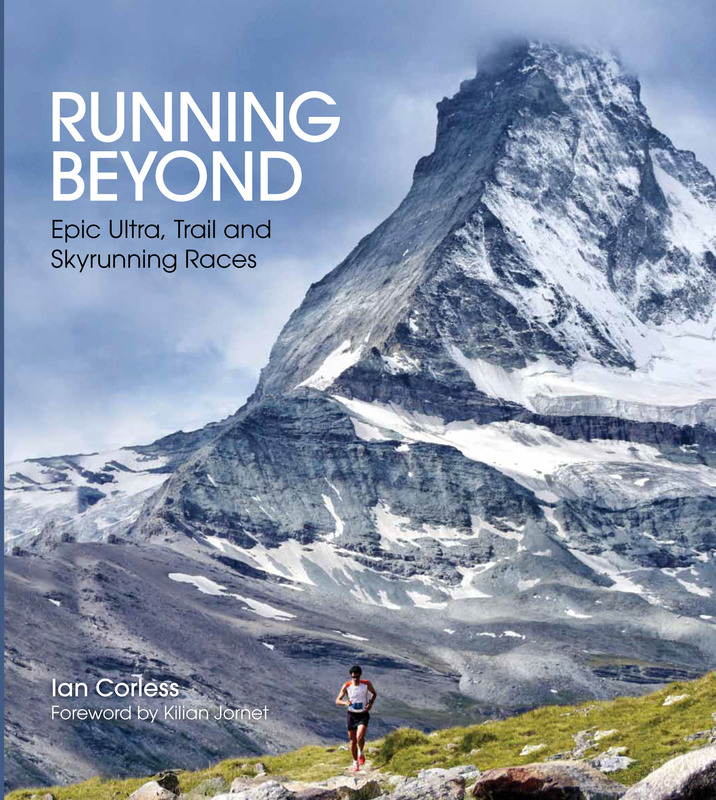 If I was going for an out-and-out technical trail mountain run I would choose the Sense 4 hands down, The secure fit, improved grip and combination of features make it a winner. But I wouldn’t want to be out all day. 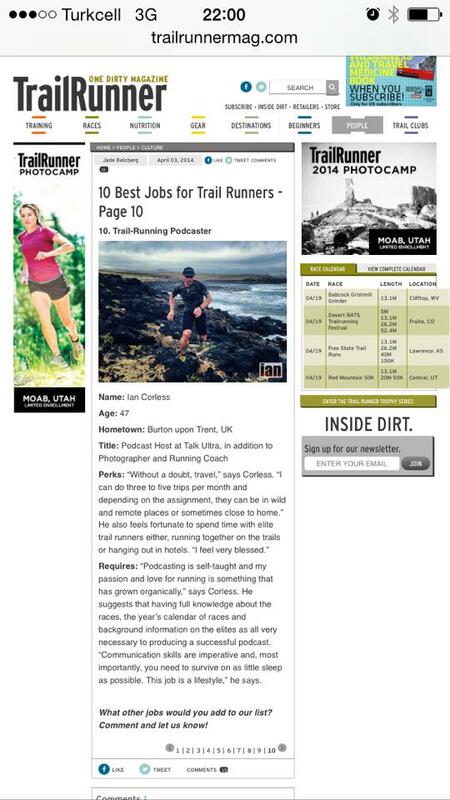 If I was going for a long run on dry trail with rocks, technical terrain and plenty of miles, I would go the Mantra 3. 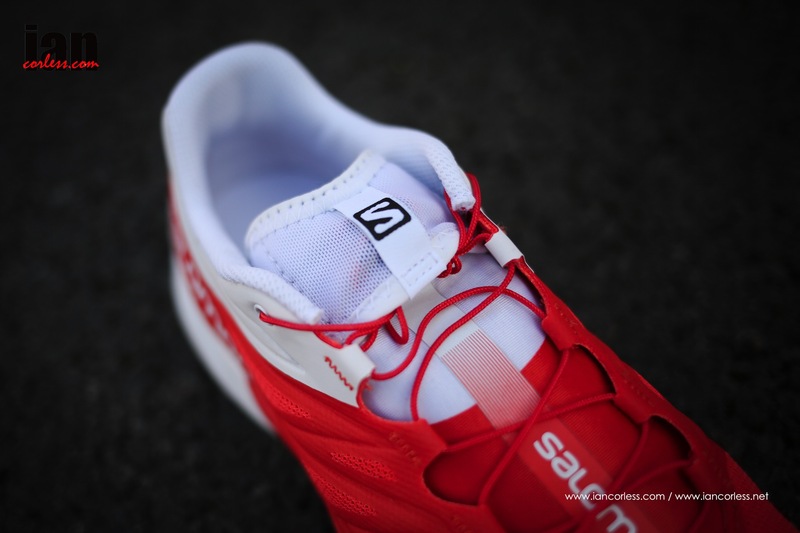 The Sense Mantra 3 finally provides a real opportunity for many runners who wanted to use a Salomon Sense but couldn’t get a shoe wide enough in the toe box. 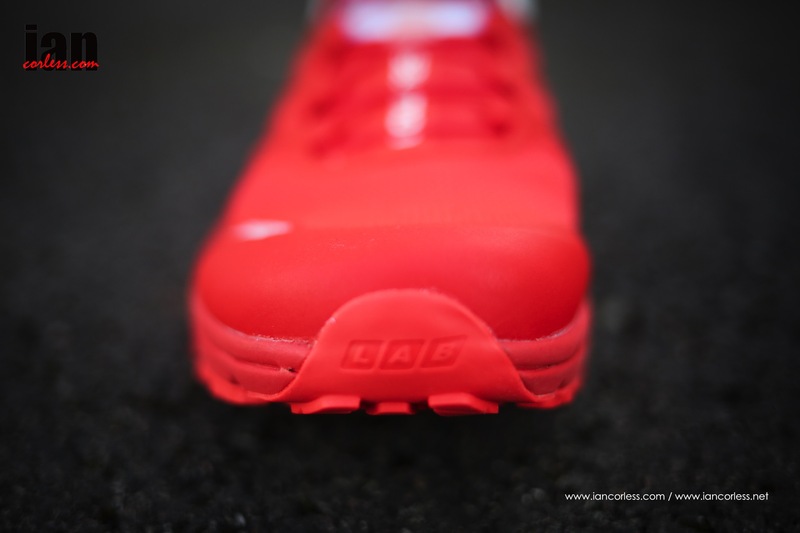 The addition of 2mm to the drop is also an added boost to the less ‘race’ orientated runner. 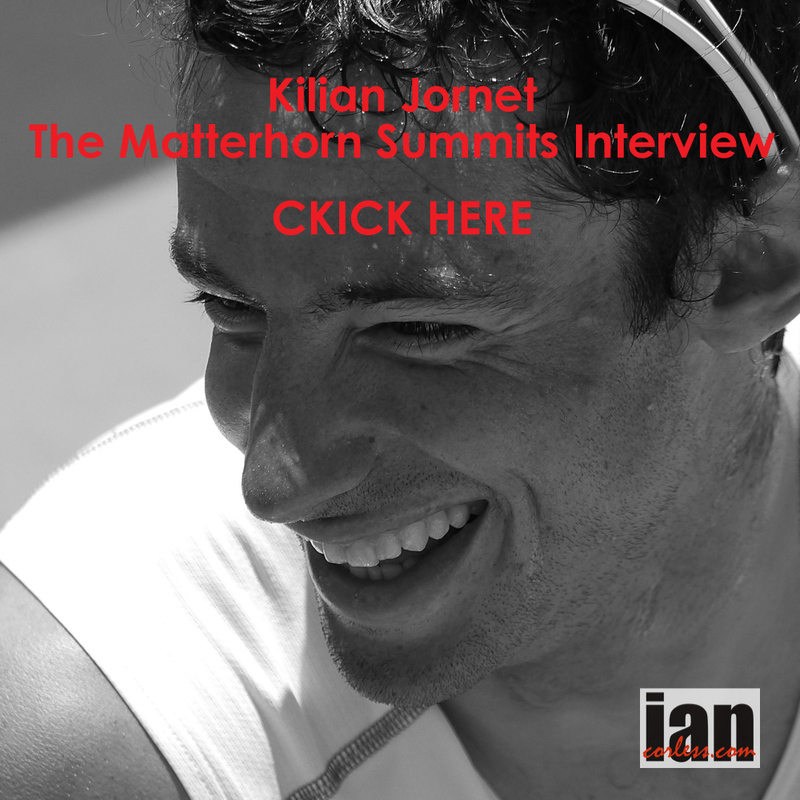 Yes I know Kilian doesn’t wear the Mantra 3 but you can’t have it all! The Sense 4 Ultra has all the usual S-Lab traits and they have been tweaked to provide you, the runner, with arguably the best incarnation of the Sense yet. But it’s a specialist shoe as mentioned previously. 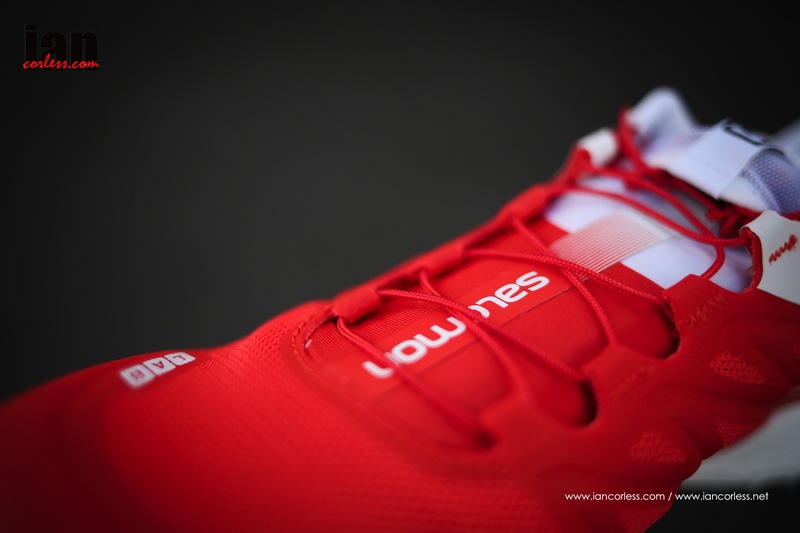 The combination of 4mm drop, tight fit and narrower toe box will not be for everyone. However, if you have been using a Sense 3, you will almost certainly love the Sense 4. If Salomon and in particular the Sense have been too tight and too low (drop) for you, don’t despair. The Sense Mantra 3 is an absolutely incredible shoe, has all the important ‘Sense’ features and you will not be disappointed. A fun weekend in Sheffield for ShAFF (Sheffield Adventure Film Festival) and the opportunity to take American ultra running legend, Nikki Kimball to experience a fell race. Well, I am not sure that anyone else in the race would fancy running the route eighteen times to make up the required 160-km but hey, we know what Nikki means (I think!). The Peak District played ball and the sun came out. Great day! Venue: Shatton, nr Bamford, Hope Valley. 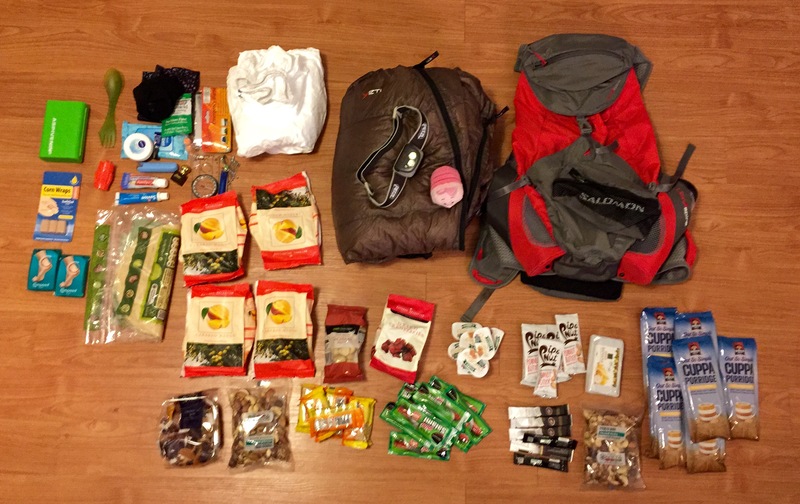 Marathon des Sables – What goes in the rucksack? 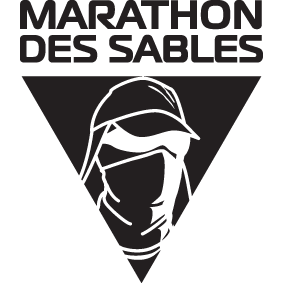 It’s countdown time to the 30th edition of the iconic Marathon des Sables. The training is done and it was time for Niandi Carmont to go through all her equipment, lay it all out, weigh everything and decide what to take and what not to take. To be clear for those who do not know. 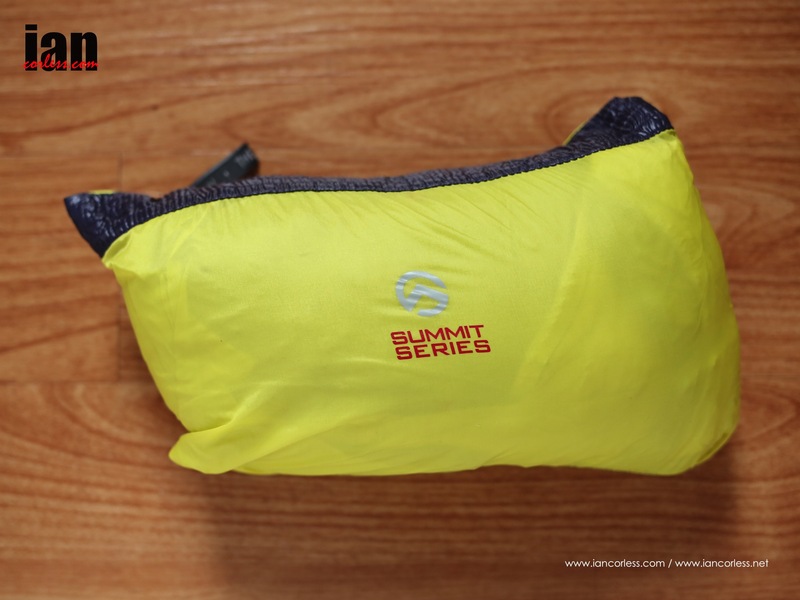 Minimum pack weight is 6.5kg. Minimum food requirement is 2000 calories per day for 7-days. 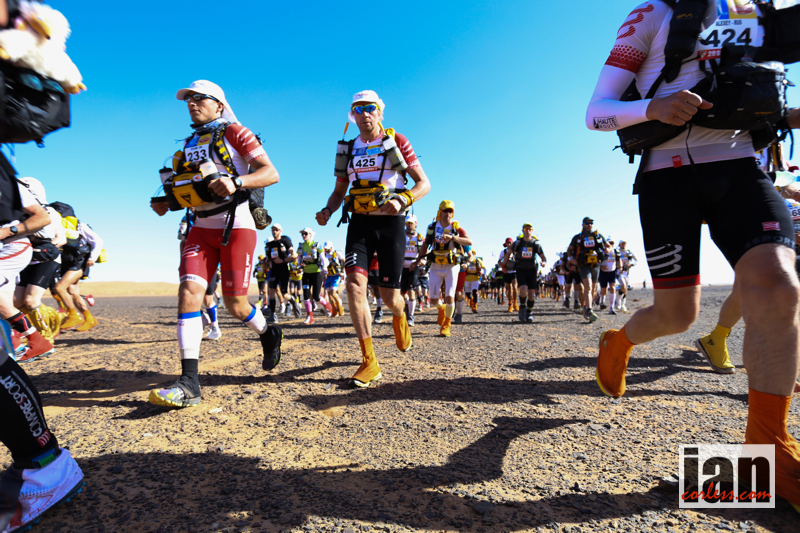 Marathon des Sables is a self-sufficient race and therefore the runner must carry everything they need for the duration of the event. The only exception comes with water (this is provided and rationed) and a Bivouac (tent) for the evening which is shared with 7 other runners. It’s been an interesting process and one that has provided both Niandi and myself with some real eye openers… normally you would have too much kit and you would be deciding what to take and what not to take! The reality has been here that we have EVERYTHING that Niandi wants to take and we are under weight. A nice situation to be in. The above is essential and will be worn for the duration of the event. 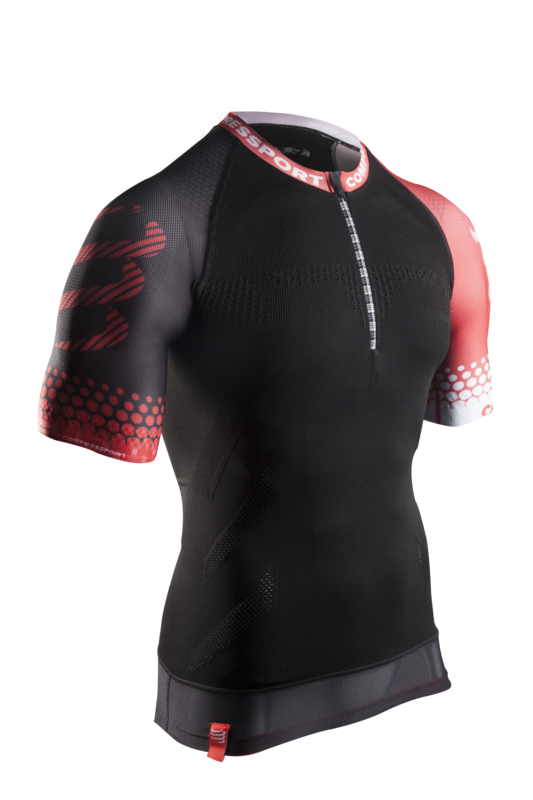 *Update – This pack was changed at the 11th hour to an Ultimate Direction Fastpack 20 (available here). This proved to be a good decision! 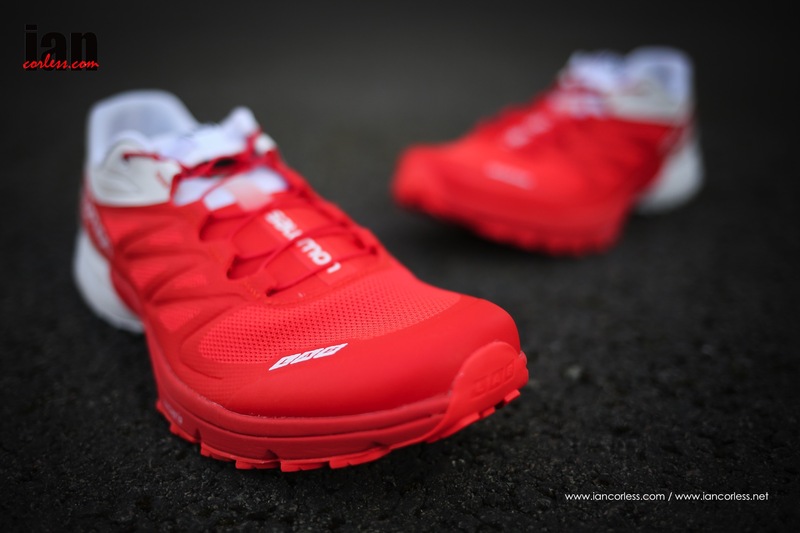 The UDF pack turned out to be a revelation at the 2015 MDS runners. Elisabet Barnes and may others used this. 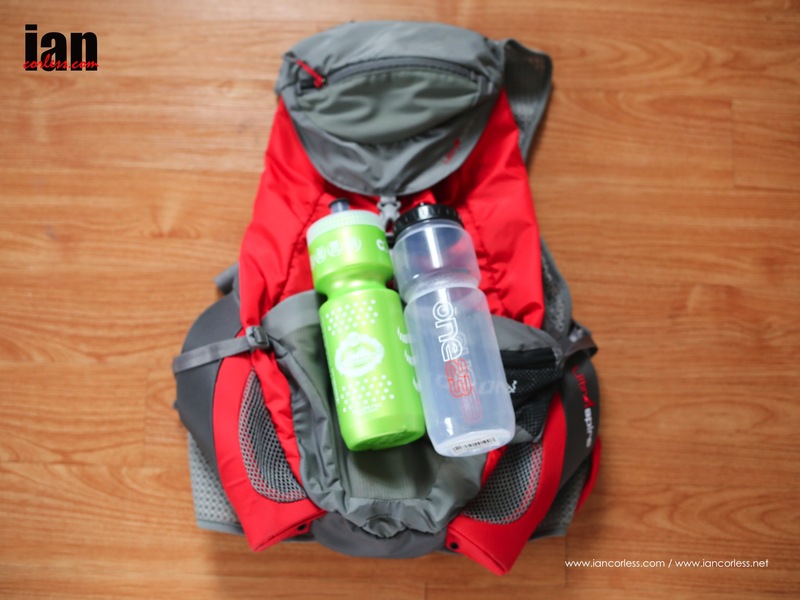 It’s simplistic, no-nonsence approach was a real winner and the bottle holders on the chest perfect for ‘on-the-go’ hydration. 1. The bottle holders are ‘on’ the shoulder straps in an excellent position (lower) and they do not bounce! You can fit 750/800ml bottles in them. 2. 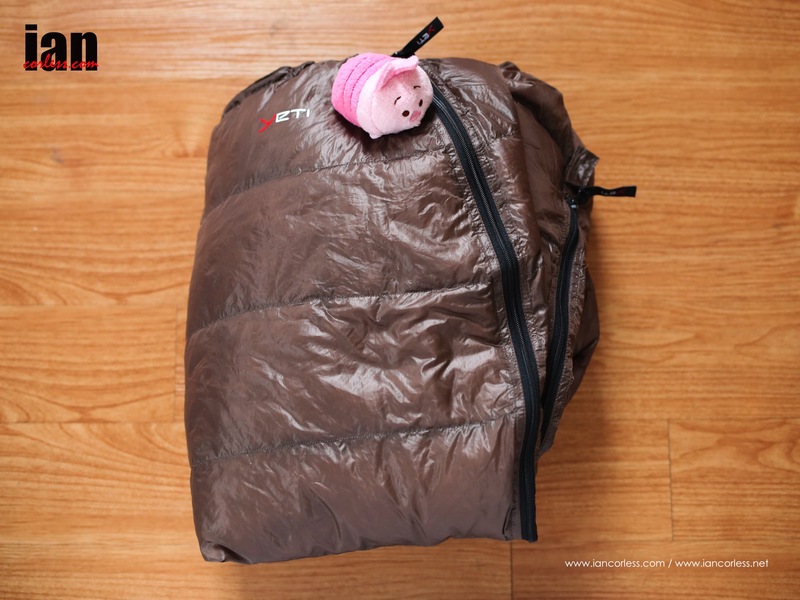 The pack fits snug to you pack and can be tightened to remove all bounce. It’s vest like. 3. The pack is just an open space, so, it’s really simple. The downside is that you do need to think about how you pack, anything you may need ‘en-route’ should be near the top. 4. As you eat food and pack contents and weight gets less, the pack has a roll top closure which means that you can make the pack smaller as the day’s pass. 5. It has no waist belt so no stomach stress. 6. 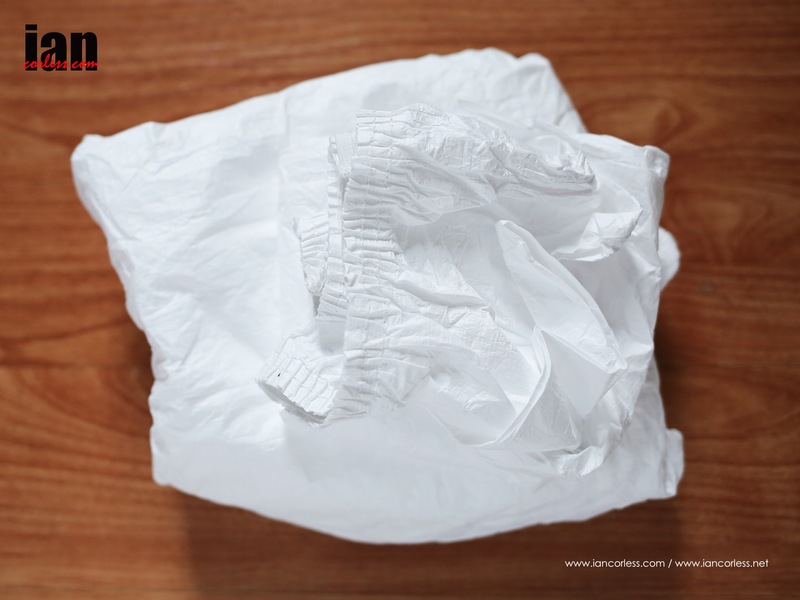 It has elastic stretch pockets on the outside for easy access and additional items. Raidlight Tyvek suit which has been tailored and modify for a tighter fit and to reduce weight. The items below make up additional items that are optional extras (such as iPod) and mandatory kit. One or two items are missing: Spot Tracker, signalling mirror and sun cream.